The team decided to spend the weekend of 14th July with some professional coaching to help with individual player skills and team tactics. Gavin Chaplin from South Africa, who was previously 7 goals and a South African Springbok player came to coach the team. He was invaluable in giving tips on managing each of the ponies and developing their ability. His website gavsays.com has lots of interesting videos and articles that can apply to all equestrian disciplines and working with him was a fantastic opportunity. 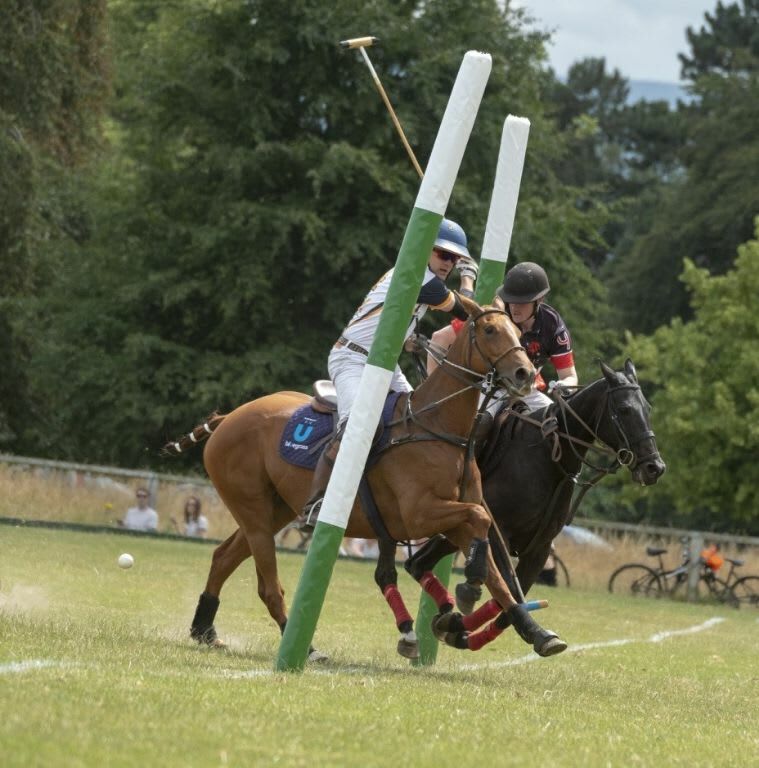 Our team patron Colm Kelleher will travel to America on 18th July to play for Ireland at an international game in Newport, Rhode Island, so they will have a weekend to work on schooling the ponies while he is away and to prepare for the next tournament in Wicklow on 29th and 30th of July. Katie tired the new Bluegrass Horse Feeds conditioning mash, Bluegrass Turmash, “One of our ex racehorses, Bernie, has been on a trial of a new product currently being developed by Bluegrass. Bernie finds it hard to retain condition as she is quite a stressy mare and prone to ulcers. We usually feed her Re-Leve but we have added this new mash to her feed since the end of June. The mash contains Turmeric which aids in reducing inflammation and so far the results have been fantastic, with her stamina and energy levels increasing along with her condition. The product is very easy to use and soaks quickly in ten minutes which has been very helpful in this hot weather. We will keep you updated on the results as Bernie continues on this trial”.